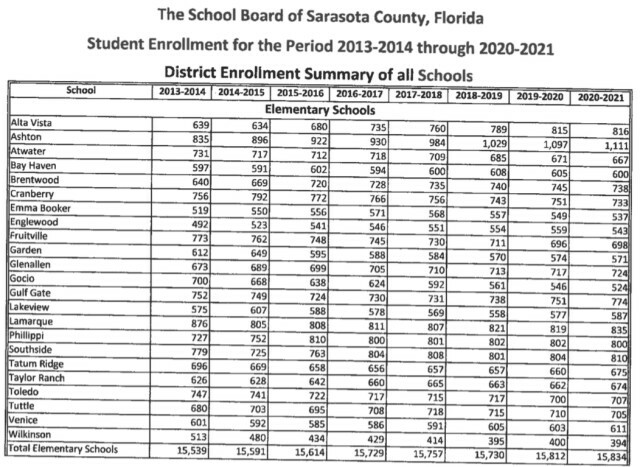 Almost exactly two months after they voted 3-2 to impose impact fees once again, Sarasota County School Board members this week voiced frustration that the growth management report they commissioned last year seems to have missed the mark on enrollment projections. Based on figures for the current school year and projections for 2016-17, the district will be able to push back planning for a new elementary school at least another year, staff told the board. 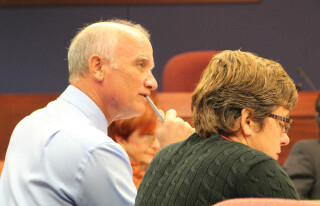 During the board’s Jan. 19 workshop in its chambers at The Landings in Sarasota, Deputy Chief Financial Officer Al Weidner said his projected enrollment for the 2016-17 school year calls for 714 more than the district has enrolled this year; only about 190 would be in traditional schools, with the others in charter schools. However, he pointed out, he estimated 900 more students for the current school year, and the actual figure is closer to 450. “We have the tools available for at least the next couple of years to manage enrollment,” Deputy Superintendent Scott Lempe told the board. Previous discussions had focused on planning for the construction of a new elementary school next year. The growth management study, presented to the board in August 2015 indicated the School Board should start planning for 400 to 600 new students to enroll each year, with a projection of 14,569 additional students by 2040. The report added that the district would need four new elementary schools, one new middle school and one new high school over the next 10 years, at a cost of about $326 million. Using October 2015 enrollment numbers as a baseline for the report he was required to send to the state on projections for the 2016-17 school year, Weidner said, he is expecting a total of 43,498 students. The number he listed for the traditional elementary schools — not counting the charters — was 15,729, an increase of 115 from the 15,614 figure recorded in October 2015. The number of kindergarten students in schools this year is lower than the figure the district counted at the same time last year, he added. As for the middle schools, Weidner continued, “We’re not seeing … much growth in that area,” leading him to believe the district will have only six more students in those grades next year. For the high schools, he said, “Pretty much the same thing.” Based on the October district counts, he added, he is projecting a decline in the number of high school students in the 2016-17 school year from 10,791 to 10,786. “I don’t think those were the numbers we were given by the consultant when they told us that the sky was falling and we had to hurry up and build a whole bunch of schools,” School Board member Frank Kovach pointed out. 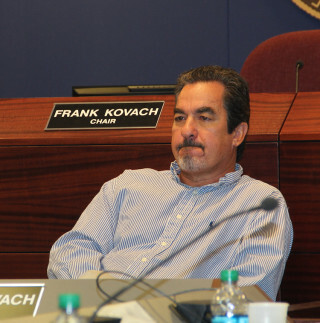 “I questioned, and I know other board members questioned, the projections by our consultant,” Kovach added. “I don’t know if I want to say that these are optimistic numbers or pessimistic numbers, because we certainly missed this year as well, actually by quite a bit, growth-wise. “I’m not sure I have a whole lot of faith in the numbers we got from our consultant at this point in time,” Kovach said. Ebaugh pointed out that houses are not going up as fast as expected. Lempe also noted that the prices of new homes may be too high for most families with school-age children. Many of the new houses in the county are in the half-million price range, Kovach said. “There aren’t a whole lot of working families with kids that can afford a half-million-dollar house.” Such families may be buying older homes that are less expensive, Kovach pointed out. However, he added, those people do not pay impact fees, because the fees are assessed only on new construction. 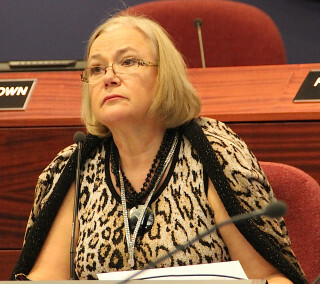 Board member Jane Goodwin added that she believes a lot of families have left since fall — and are continuing to leave the county — because “their rental agreements went skyrocketing.” She noted that some were seeing their monthly rent payments rising as much as $500. The situation is similar to what happened in 2007-08, she pointed out, as the Great Recession was under way. “And there just aren’t rental units available in this area owns bought one development on Bee Ridge Road in Sarasota has raised the monthly rent by $2,000, Goodwin said she had heard. In North Port, Weidner noted, he learned from the principals that they were seeing house rentals going up by that same amount. “That was a real shock,” he added. Weidner told the board he had conducted research into how much money the district collected in the first year after impact fees were imposed in the past, so he could craft an estimate for the 2016-17 budget. His estimate is for $2 million, he told The Sarasota News Leader in a telephone interview after the meeting. Lempe pointed out that staff works on a cost projection of $100,000 per acre for a new elementary school site, so the expense for a 25-acre parcel would be $2.5 million. “We’ve never collected enough impact fees to build a school,” Weidner pointed out. Regarding the district’s charter schools next year, Weidner told the board he is projecting “fairly large growth,” especially as Sarasota Military Academy Prep adds the last building to its campus, thus expanding its capacity. 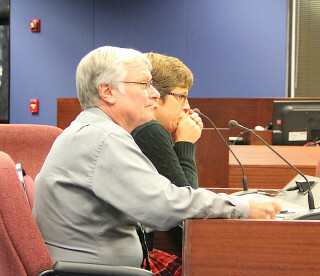 The October count of charter school enrollment was 6,345, Weidner said. He reported to the state that that figure would climb by 525 students next year, he added, based on information from the schools. However, he told the board, he predicts those facilities will see no more than 50 percent of that growth in 2016-17, as some of the charter schools — including the Sarasota School of Arts & Sciences — are at capacity.